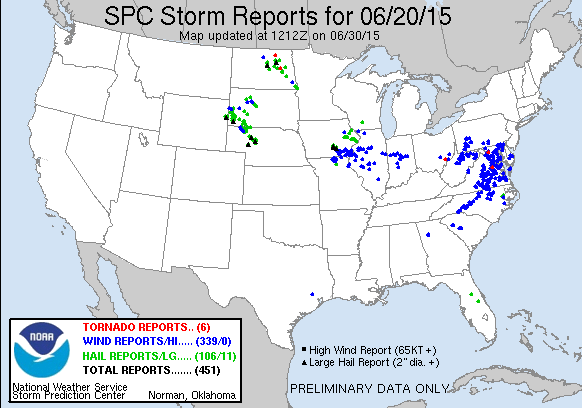 I left Michigan early in the morning, right around 630z and began the westward trek to Iowa. 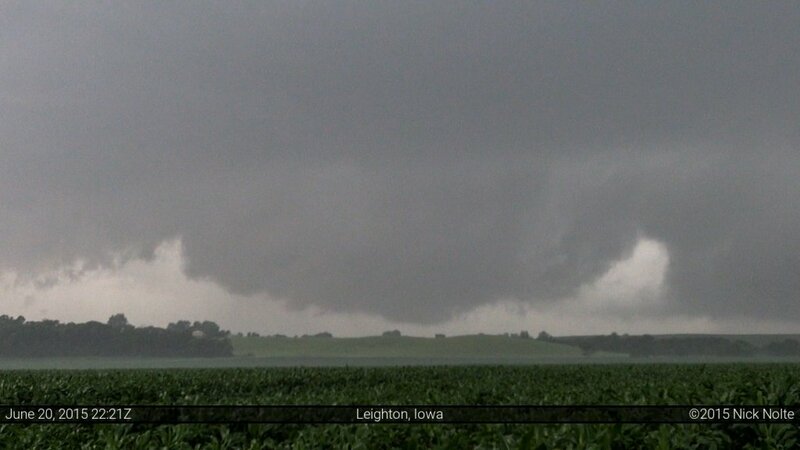 SPC had issued an enhanced risk for severe weather in Southeast Iowa. An overnight MCS was propagating across South Dakota and into Northern Iowa and I wondered whether or not it would dissipate before daytime heating began or if the southern edge would be a prime target for intensification in the afternoon. 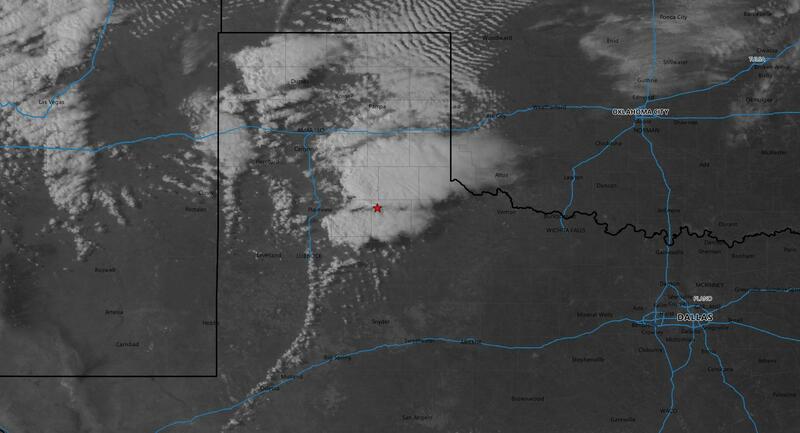 The cloud debris from the MCS was also a concern that it might shunt the target area to the south. 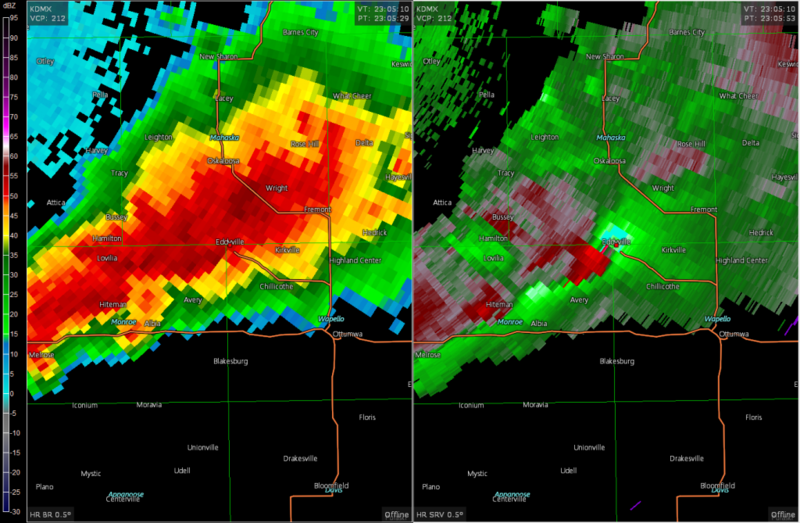 I arrived in Grinnell around 1930z and met up with a bunch of other chasers hanging out at the Casey’s just off the highway. 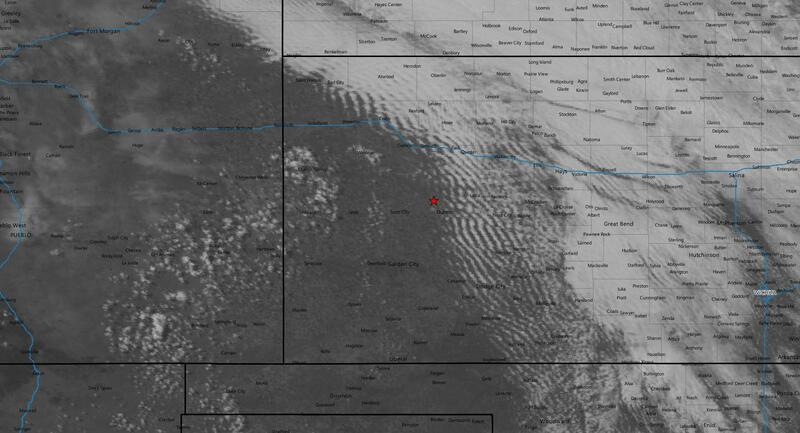 Meanwhile, the convergence along the front was rather visible on satellite running from Omaha up to Webster City with a percolating cumulus field in the warm sector. The SPC issued a mesoscale discussion for an incoming tornado watch shortly after 20z and the watch, itself, was issued just before 21z. 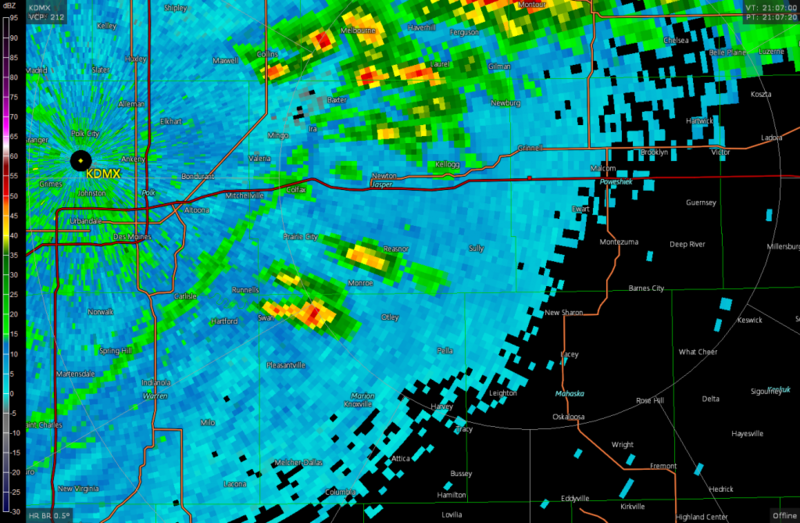 The cold front had migrated east of Des Moines and was clearly visible on radar. The first cells popped right around 21z and most of the chasers hanging out at the gas station scattered. 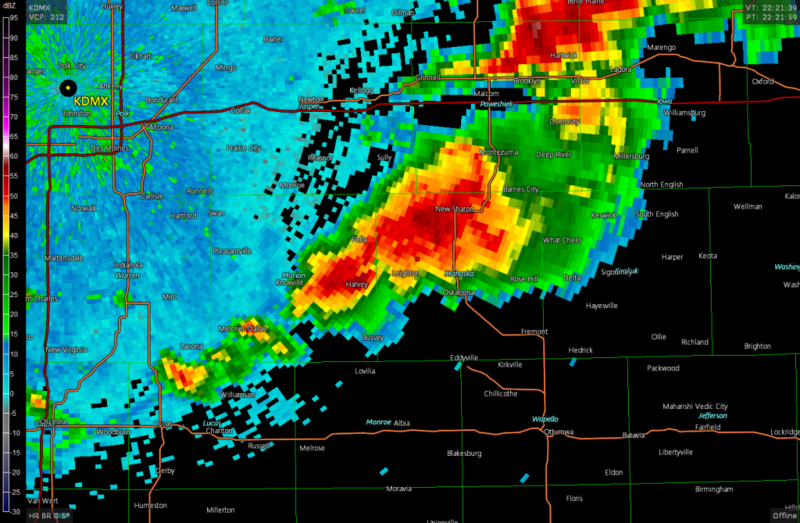 The storms intensified pretty quickly and went severe warned just 50 minutes after initiation. I was driving south out of Grinnell towards highway 102 between Pella and New Sharon and found a nice spot a few miles west of New Sharon to watch the storm from a high vantage point. After watching from the top of a hill for a bit, I moved south some more and decided to get into the inflow notch to see what was going on. There was a very nice bowl with some good rotation on it, but I never saw it spit out any funnels. I drive south to attempt to intercept new development along the flank of the first storm, but I realized later that the entire cold front was starting to light up and storms would be growing upscale any moment now. I tried my best to stairstep to the southeast and keep ahead of the storm but it was proving difficult. 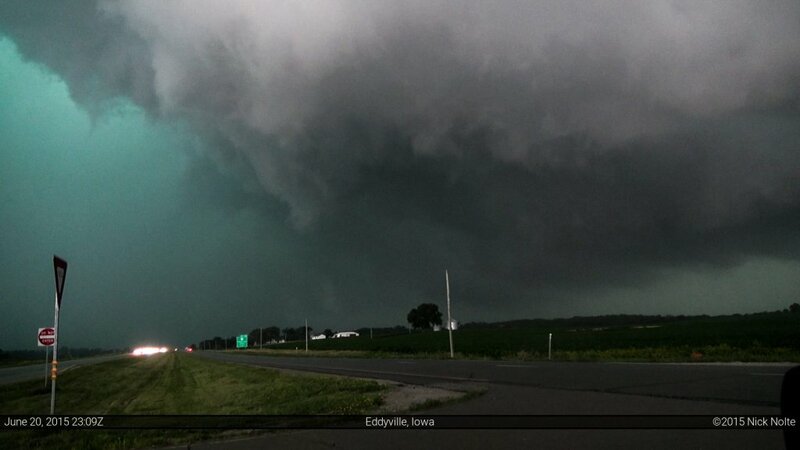 As I entered the town of Eddyville, the storm really wrapped up and showed a distinct couplet on radar. 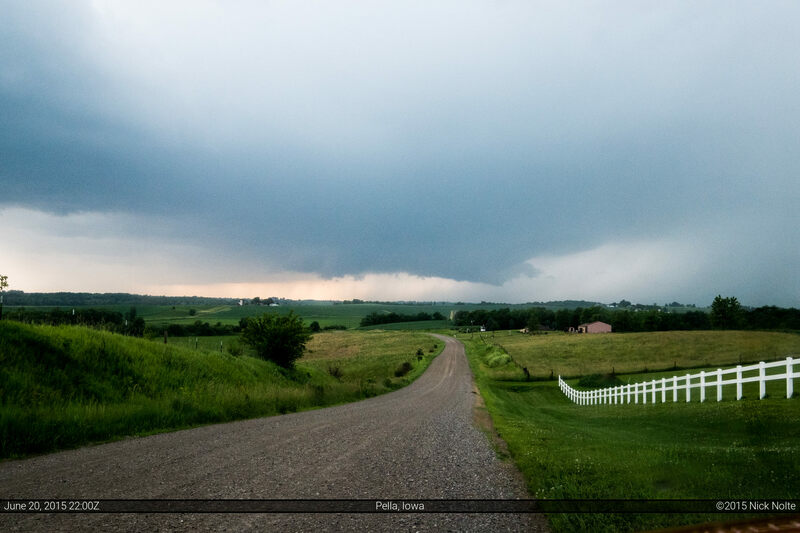 I continued on US 63 southeast out of Eddyville and eventually pulled into a median turnaround to take a look back at the storm and spotted a brief, ragged funnel to my north. Little did I know at the time, there was actually a tornado in progress to my southwest which a survey showed tracked about 2 miles south, parallel to US 63 between Bridgeport and Dudley. I tracked along with the storm on highway 23 to Ottumwa and even though stuff was starting to grow upscale, little couplets kept appearing along the leading edge, so I decided to stair step down the line to see if I could spot anything. I kept doing that for a while into Missouri before I decided to call the chase a little after 1z, then trekked back to Ottumwa where I spent the night.